May we all live in the shadow of death with dignity and strength, like Ron. May we look at our life’s work with contentment and pride, like Ron. 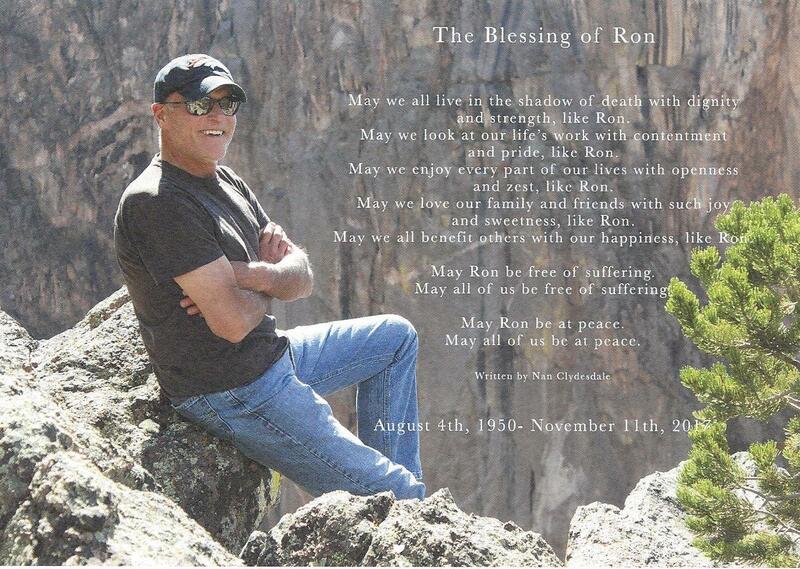 May we enjoy every part of our lives with openness and zest, like Ron. 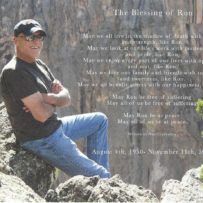 May we love our family and friends with such joy and sweetness, like Ron. May we all benefit others with our happiness, like Ron. May Ron be free of suffering. May all of us be at peace.